Feudalism, absence of land reforms, denial of peasants’ rights and corporate farming are serious threats to the sustainability of agriculture in Pakistan, agriculture, land reforms and development experts said Monday. “The agricultural sector will continue to perform badly unless viable land reforms are introduced and feudalism and corporate farming are checked,” they added. They were addressing at a three-day national workshop and a reference seminar on (late) Haider Baksh Khan Jatoi. Speaking on the occasion, Pakistan People’s Party Sindh chapter Secretary General and former senator Taj Haider said the socio-economic empowerment of peasant through land reforms is critical for the uplift of agriculture, poverty alleviation and the overall economic development of the country. The seminar has been organised by the Society for Conservation and Protection of Environment (SCOPE) in collaboration with the Oxfam International. The conference is aimed at forming a National Peasants’ Coalition of Pakistan, a national platform for the farmers’ movements. He said there is no need to hammer out any new agenda or roadmap for launching struggle for agrarian reforms and empowerment of the peasants and securing their rights. “We just need to push forward with movement of Comrade Haider Baksh Jatoi and putting an end to the ruthless exploitation of the poor tillers and emancipating them from the grip of the feudal,” said Haider. He said the PPP strongly believes in land reforms and recognises the rights of the peasant community and this has been part of its manifesto. However, he admitted that there are strong forces in the country that do not want to see these reforms. He categorically said that land reforms are not against Islam or Shariah. “It was the Shariah bench formed during the Ziaul Haq era that served vested interest,” he added. He said Mufti Taqi Usmani gave a verdict in favour of land reforms with Shariah references. He said such struggles for the empowerment of the weakest segments of the society survive and reach their goals during democratic rule while they are suppressed in dictatorial rules. History is replete with nefarious designs formulated by those in power to curb movements and muzzle down voices for land reforms and empowerment of the peasants. “Whenever peasants have raised voice for their rights and demanded land reforms, feudal lords collude with those in power and suppress such movements and voices. Several instances of curbing peasants’ struggles for their rights are be traced in recent years of the country, but the PPP has always supported such struggles and will continue to do so in the interest of the country’s economic uplift,” Haider told the participants of the seminar. Zulfiqar Halepoto, development and land rights expert, in his address identified feudalism as a major stumbling block to agrarian reforms and a threat to the development of the ailing agricultural sector. He said peasants cannot free themselves from the clutches of exploitative feudal lords until they get united on a single platform. “There is a need to raise awareness among peasants about their rights, unite them and launch country-level struggle for their emancipation from control of the landlords,” he added. Halepoto said he is convinced that Pakistan’s durable development lies in the elimination of feudalism. He said there were several movements launched before and after the division of the Subcontinent, but they were not properly recorded. References about these movements are scattered in different annals of history literature. “There is a need to organise this scattered material on peasants’ movements and compile them for researchers and students of the history. The compiled records on these movements will prove to be a beacon of light for the coming generations,” he added. He said the aggressive struggle for the emancipation of the oppressed peasant community in Sindh and securing their land ownership rights was launched by Hyder Buksh Jatoi that was not properly recorded. “Writing a paper on the struggle of Hyder Buksh Jatoi’s was a daunting challenge for me. Collecting, compiling and publishing paper was painstaking, but the interesting research work will open new vistas of knowledge about different aspects of his life,” he added. 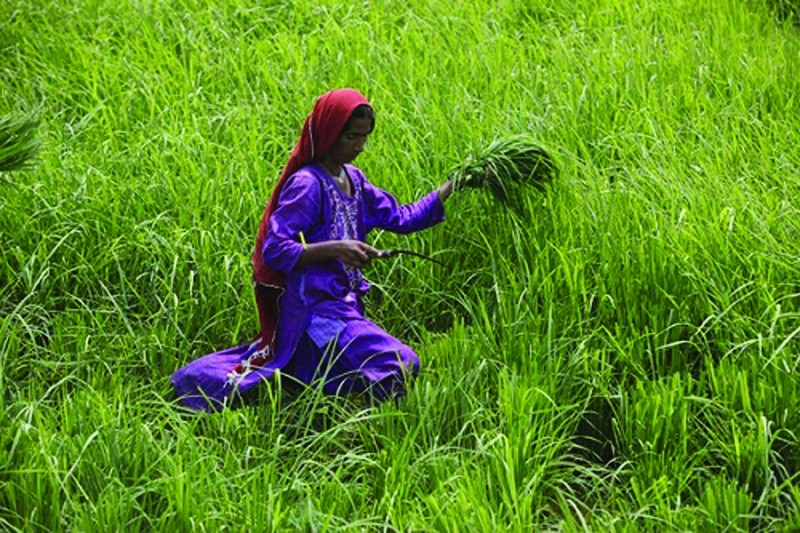 Tanveer Arif, chief executive of the Society for Conservation and Protection of Environment (SCOPE), said rural poverty is rising and despite surplus food production, food insecurity, hunger and malnutrition is increasing. “Such issues cannot be tackled effectively until agrarian reforms are enforced in letter and spirit,” he added. “Most of the poor of Pakistan live in rural areas and their poverty is linked to landlessness. They lack physical and social assets or physical and human capital. Rural areas continue to lag behind in education and health. With little or no assets, the rural poor have become food-insecure and their poverty terribly deepened. Therefore, secure access to land remains the most powerful remedy to poverty. Arif observed that there is evidence that situation of income inequality in rural areas has aggravated, as has the inequality in land ownership. Land reform is, thus, much likely to promote equity and distribution of state land is a step in this direction. “Corporate farming culture is a major threat to the efforts for land reforms and survival of agriculture in the country. This will deepen hunger as crop produced locally are being exported to foreign countries while access to locally produced food is shrinking for the locals, a trend that will soar hunger and malnutrition,” he warned. He suggested engaging parliament, political leaders, legislators and obtaining their support for the ongoing movement for across-the-board land reforms and economic empowerment of the peasants is essential for the enforcement of land reforms in the country. Irfan Mufti, representative of the South Asia Partnership, said feudal lords, some politicians and international forces with vested interests have opposed efforts for agrarian reforms in the country. He lambasted government’s policy decisions, which have paved way for corporatisation of the country’s agriculture. “Corporate farming is grave threat to the sustainability of agriculture and the livelihood of 70 percent of rural people associated with agriculture. Farmers are being forced out of their lands by those push ahead with the corporate farming,” he pointed out. “There is now a need for widening the circle of the movement for land reforms to the national level and all stakeholders should be taken on board to hold dialogues with the government for the introduction of land reforms,” he remarked. Prominent land reforms expert, Taj Marri of the Bhandar Sangat, said land reforms are the need of the day and if enforced, they will help boost the agricultural sector and reduce rural poverty, hunger, malnutrition and create a sense of ownership among the oppressed peasants. “Building up a sense of ownership among tillers will double their efforts to boost the ailing agricultural sector and; hence, will have positive ramifications on the country’s all economic sectors,” he argued. Earlier a paper titled “History of peasants’ movement in Pakistan”, authored by Zulfiqar Halepoto, was launched at the seminar. The participants also visited the grave of the late Haider Baksh Jatoi and laid floral wreaths there.